The worldwide insurance provider known today as 'GIGNA' was formed in 1982 as the result of a merger between The Insurance Company of North America and Connecticut General Life Insurance. One of the founders, the Insurance Company of North America, was organized in 1792 in Philadelphia and is America's foremost insurance provider. The Insurance Company of North America issued its first life insurance policy in 1794, protecting a sea captain from death at sea. The policy included a clause promising benefits if the captain was captured by pirates. Connecticut General Life Insurance, CIGNA's other predecessor, was established under state act in 1865. CIGNA's long history is a testament to the quality of the service and attention to values that make up the foundation of the company. And with more than 200 years as an insurance provider, you can be assured that CIGNA's services will offer you all the benefits that the company has learned from extensive experience. CIGNA.com was named "Best of the Web" by Business Insurance in 2001. The web portal, myCIGNA.com, was given the same award in 2002. Because of this award-winning website, which is specifically designed for client accessibility, you will be able to easily manage your CIGNA plan whether you are in your home country, your place of residence, or on holiday. In 2002, CIGNA was granted approval to enter the Chinese life insurance market, the first company to do so after China joined the World Trade Organization. Later in the year, a Chinese-American joint venture was established to market life insurance in Shenzhen, a city in southeastern China. CIGNA has operations in 28 countries and brings service to expatriates in more than 170 nations. 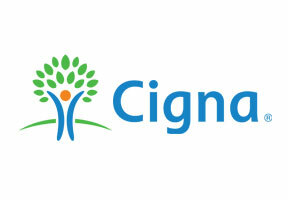 CIGNA provides a variety of services for people living and working outside their home country. CIGNA is the world's largest provider of employer-sponsored health care benefits and services for globally mobile employees. As a result of having such a well-developed international business, CIGNA can easily design programs to accommodate government regulations and business requirements of whatever country you are moving to or are currently living in. To learn more about whether CIGNA is the right choice for your expatriate needs, or to learn about other providers, contact us.